HomeSEOHow to Write a Post Meta Description in Blogger? Hello my dear friends, today I am representing a very important topic which related to blogging. The name of the topic is Meta Description for Blogger. Yes, Meta Description is the most important part of your webpage. It is the short description for your blog post. 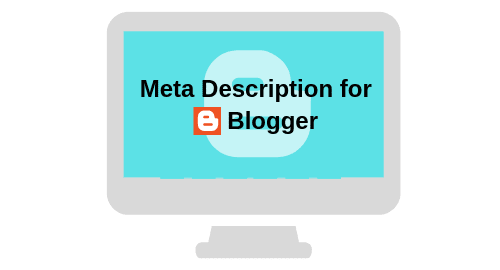 In blogger, the Meta description is defined as Search Description. Means the other name of Meta description is Search description. When you observe your blog or website with the help of SEO tool, it will show you your Meta Description also. For defining the language of your website you have to add Hreflang tag. What will you achieve after adding Meta Description in Blogger? 1) You will have short information for your blog. 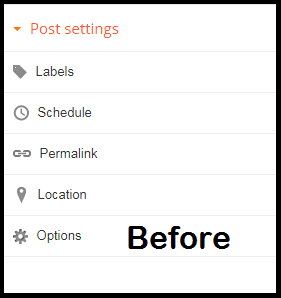 2) You will be able to write Meta tag for the post. 3) Your website’s SEO will increase automatically. What is Meta Description in Blogger? As I have already told you about this. Many people are confused about it because, in other website making platform, it represented as a different name. So what is Meta Description in blogger? The meta description is known as search description in blogger. When you observe a website’s index in search engine, you will see the links and the short description placed in the down direction of the link. That short description is your Search Description or Meta Description. When you create a blog, there is no automatically allowed to place the Search Description. 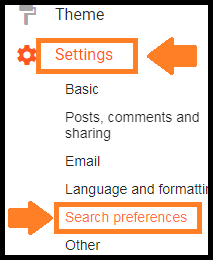 For that, you have to activate the Search Description in Blogger. You can add the Search Description for the post as well as the whole blog also. 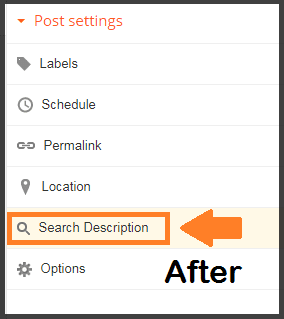 If you did not add the Search Description for your whole blog, then you can add it in the post. It is mandatory to write a Meta Description for the whole blog then you would add it in every post or article of the blog. How to Write Meta Description for Blog? It is not already given to write Meta Description for every post of blogger. You have to do it yourself. First, you have to add the Search Description for the blog and then you will be able to add it to every post of your blog. It is the very simple steps to add the Search Description for the blog as well as the post from the blog. Step 5: Click on Edit button of Description. Congratulation! You have successfully added Meta Description for your blog. Now you are able to write the Meta Description for each and every post of your blog. Let see the following images, Before and After. In before you are not able to add Meta Description for every post. After writing the Meta description for your blog, you found the option of adding Meta Description for the post is now open for you. How to add Meta Description for Post? Now the option to add Meta Description for the post is opened for you. You can see the extreme right side of your desktop. Here the option is available. Step 4: Click on the Done button. Note: You have to add your keyword in the post Meta Description. The Meta Description should be written in the maximum 120 characters only. Meta Description in Blogger is important. This all information is the part of on-Page SEO. You should try it. By following above information you can write a perfect SEO friendly article. If you like this article please share it at least once. If you like to read the article like this you can subscribe to this blog.